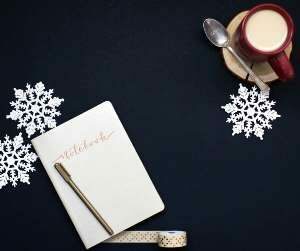 The Holiday season is upon us and while everyone’s already starting to plan out their back to back celebrations and writing down their gift list, why don’t you take advantage of this opportunity and open up a seasonal business? Whether you got a pair of crafty hands, amazing cooking skills, or you’re a pro in decorating or party-planning, I’m sure you’ll be able to find your own niche. What’s great about a seasonal business during this time of the year is that it doesn’t require a big capital. You can also have a temporary “business location” for such a small fee at holiday bazaars in your neighborhood, school or Churches, which is of course, a very helpful way to gain more customers. Also, you have the flexibility to change course. Once Christmas is over, you can just easily switch to another theme, let’s say, Valentine’s. So if you’re ready to get some holiday-themed business ideas, just keep on reading. Get musicians for parties and events. If you have a talent for singing, you can make money out of your musical skills to entertain people at parties. But if you have none, don’t worry. You can just organize a team of musicians such as live bands, acoustic singers or carolers and get them hired for holiday events. Start a holiday decorating business. If you have a unique sense of style and love decorating, why not offer your services to homes and businesses who need your talent. Some customers already have an idea on what they want and already have the needed items, all they need is someone to execute it and that person could be you. A lot of people are into gift boxes nowadays because they are unique and creative but they can get really expensive if bought in stores. If you have some great ideas, you can sell your very own curated gift boxes at a much cheaper price. Create unique gift baskets for every type of personality – for someone who loves food, movie junkies, sport aficionados or for those who love to pamper themselves. Get creative with inexpensive items and put them together in cute holiday baskets. Offer catering services or sell baked treats. The month of December is always filled with back to back get-togethers, parties and events. If you enjoy cooking, you can cater to holiday parties and help make their party a success. However, some cities require you permits or licenses to operate a food-based business. Make sure to check with your city first. Well, another idea is selling baked treats. You know how baked goods are really in demand during the holidays – not just for personal consumption but as gifts as well. If you love baking or know someone who can bake the goods for you, you can put them in pretty Christmas packages and put them on sale. Be a professional party planner. If you think you got the skills to throw an epic party and have strong connections with service providers that you can work with such as caterers, decorators, photographers, etc., it’s time to put that party-planning skill of yours and use it as a business opportunity.